Don't settle for just any mouse pad, Mad Catz' G.L.I.D.E.7 Silicone Mouse Pad is designed to maximize your performance and give you the competitive edge. Constructed from premium silicone, the G.L.I.D.E.7 is scientifically proven to enhance your gaming mouse's tracking performance by 1,000%. Custom materials and low-friction coating increase your mouse's sensor accuracy and provide smooth movement to give you a distinct advantage over your rivals. The G.L.I.D.E.7 is fully compatible with optical sensors - - but optimized for laser sensors - - and delivers total control with maximum accuracy. Plus, at twice the size than the average mouse pad, the XL surface area is ideal for all gaming styles. Give your gaming mouse a sleek and exceptional place to call home with the G.L.I.D.E.7 Silicone Mouse Pad from Mad Catz. When tested against comparable mouse pads, the G.L.I.D.E.7 provides a massive 1,000% increase in tracking performance. Mouse movement on the G.L.I.D.E.7 Mouse Pad is 18% smoother than mouse pads constructed from comparable materials. Carefully selected materials coupled with an ultra-smooth surface texture promote flawless mouse tracking. Measuring 150% larger than the average mouse pad, the XL surface area is ideal for all styles of mousing. Whether you prefer to keep your DPI low or high, or your mouse movement large or minimal, the G.L.I.D.E.7 delivers extremely detailed mouse feedback. In order to track movement, the laser sensor in a mouse relies on receiving specific information from your mouse pad, obtained through reflections of the laser beam. The surface upon which you use your mouse is very important. Use it on a dark surface that absorbs light from the same spectrum in which the laser operates and the sensor won't receive enough information, if any at all, and can't detect that the mouse is moving. 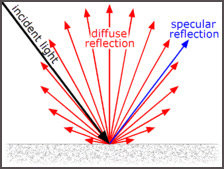 The surface shouldn't just reflect the laser like a mirror, known as specular reflection. Instead, a mouse operates at peak efficiency when light reaching the sensor reflects in a broad range of directions, known as diffuse reflection. The entire range of G.L.I.D.E. mouse pads meets the requirements of proper reflection. Very specific colors and materials ensure that your mouse's laser sensor receives an abundance of reflected laser light in order to achieve unprecedented levels of response. When coupled with any G.L.I.D.E. Mouse Pad, you can be confident that the laser in your mouse is operating at peak efficiency. For safe transport en route to your next LAN party, the G.L.I.D.E.7 comes equipped with a durable handmade carry case. When finished obliterating your gaming rivals, just roll up the mouse pad and drop it in the premium box.